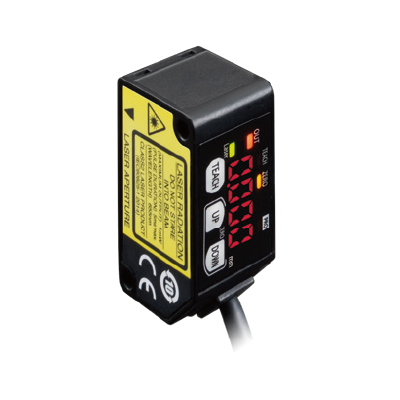 (Note:)This product complies with 21 CFR 1040.10 and 1040.11 Laser Notice No. 50, dated June 24, 2007, issued by the FDA (Food and Drug Administration). Beam diameter ø120 μm 4.724 mil approx. Cable extension Extension up to total 20 m 65.617 ft is possible with 0.3 mm2, or more, cable. Remark (Note):Supply voltage: 24 V DC, ambient temperature: +20℃ +68℉, response time: 10 ms, and analog output value of measurement center distance are used for unspecified measurement conditions. The subject is white ceramics.